I have the great pleasure in announcing that Tim Cross has been awarded the title of Master (Class 1) by virtue of his excellent performances at two recent BMAB-Partnered tournaments held in the UK, the BIBA British Open and the St Albans Open. This award is an upgrade from Tim’s previous Master (Class 2) title and takes him to 4th position in the BMAB (UK) Ranking List. Tim has worked both tirelessly and selflessly in his UKBGF appointed role as UK Team Captain and Selector, very successfully promoting an ethos of excellence and team spirit, which has been incredibly successful in terms of results at both online and live tournaments: third place at the last EBIF European Online Team Championships and first place at the recent World Team Championships held in Georgia. His leadership has been a major factor in raising the profile of the UK on the world backgammon map, together with recent major international individual successes by Gaz Owen, Raj Jansari and Eric McAlpine. At the recent World Team event in Georgia, various factors conspired to prevent Tim from captaining the UK Team at the tournament as was planned, but he continued to fully support and inspire the team remotely from the UK, ably supported by Raj Jansari as substitute Captain. 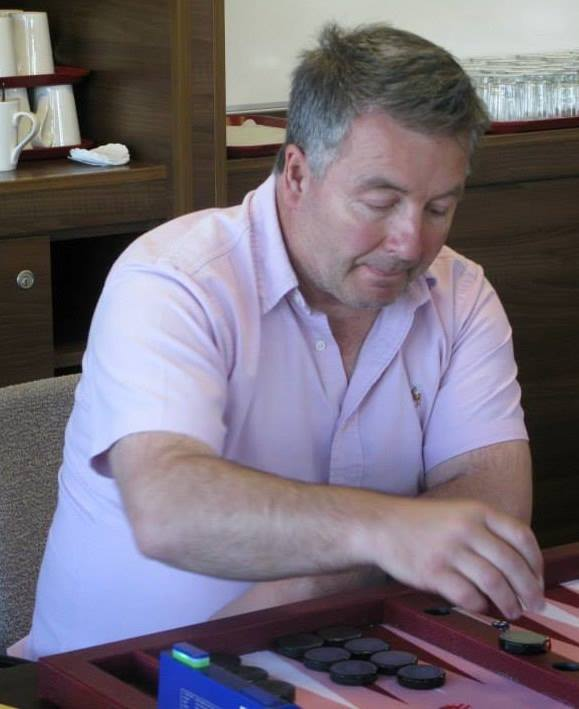 Tim has improved continually with his performances at BMAB, now totalling over 550 experience points, and is expected to carry on doing so with his raw talent and love and dedication for Backgammon. Congratulations and Kudos to Tim Cross! Rick’s superlatives are entirely deserved. 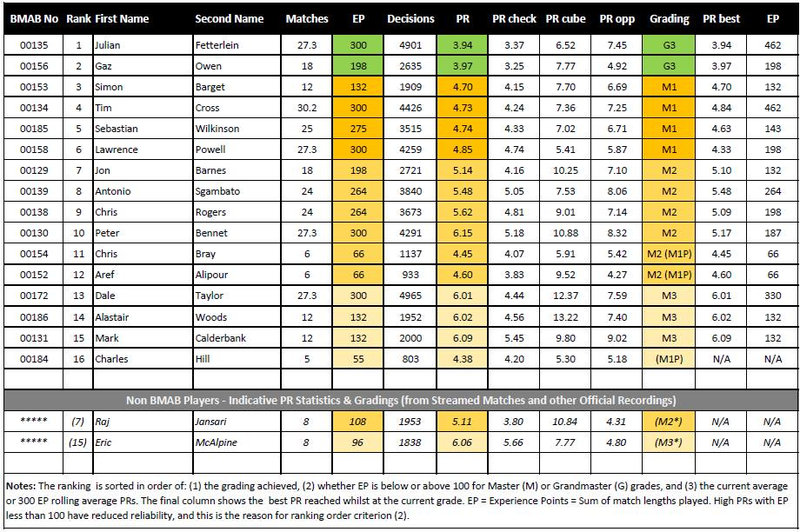 Even in the disappointment of Budapest, Tim’s proved very shrewd in team selection, and has built up a reputation for getting the best out of his players. This award proves what many of us have long known, that he’s also a consistently formidable player in every format of the game. We look forward to more great results at international level, including Stockholm this autumn! If only your football predicting skills were as good…………. Thank you Gregge, Ha ha yes I don’t think I even got into week 2 once of the premier league predictions comp.